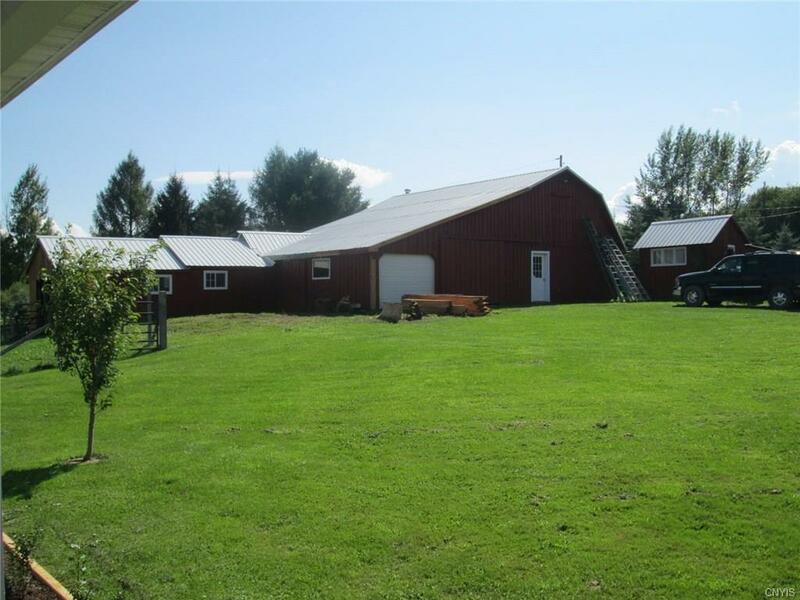 Custom-built 10 year old home with in-floor radiant heat throughout. 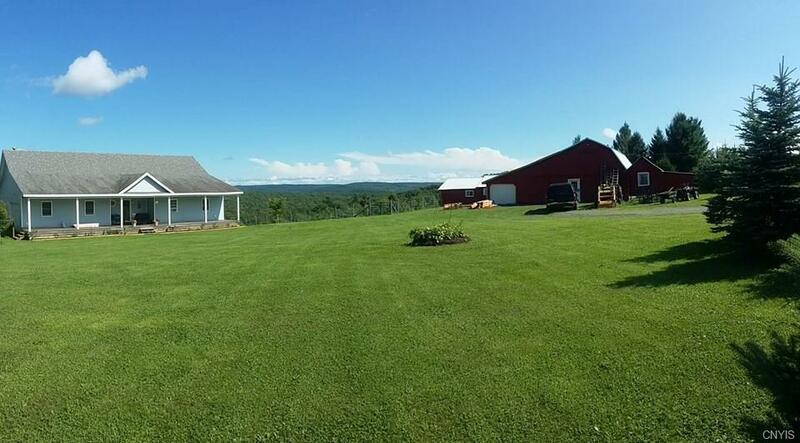 Full length front porch and a rear deck/patio for enjoying the distant valley views. 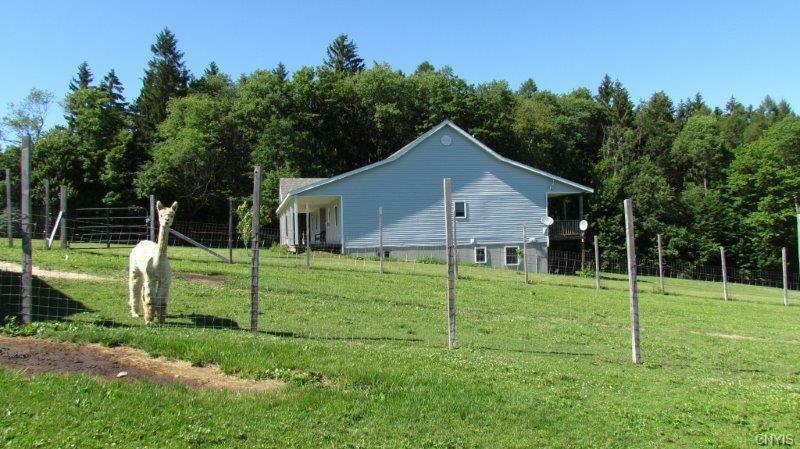 Currently has Alpacas and Chickens housed in newer buildings. Insulated heated workshop. Attached two-car garage. 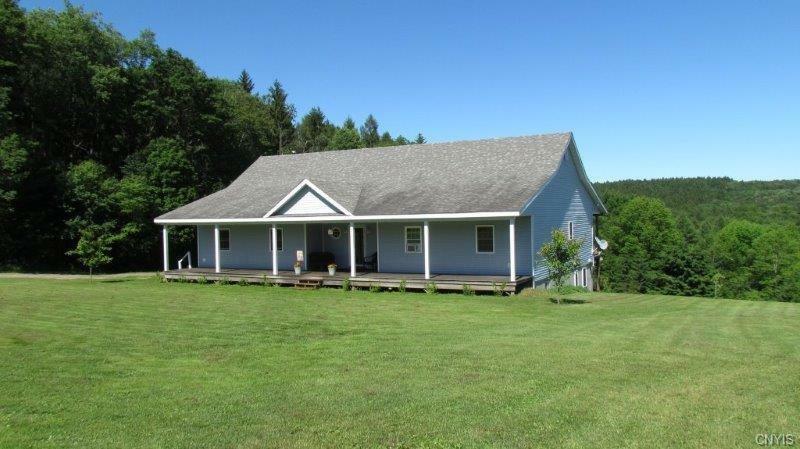 Borders Bucks Brook State Forest with plenty of game and a nice enclosed, raised tower blind.Walk in the front door through the foyer: kitchen/dining on the left, straight ahead a small living room then the master bedroom/bath, two spacious bedrooms and a second full bath. Downstairs/finished basement has a entertainment area with a small kitchen, an office, exercise room, a spare bedroom and full bath. Nice place for watching TV, entertaining guests or just kicking back relaxing. Ceiling fans throughout.